The US East Coast is home to one of UAL’s biggest alumni communities outside of the UK. 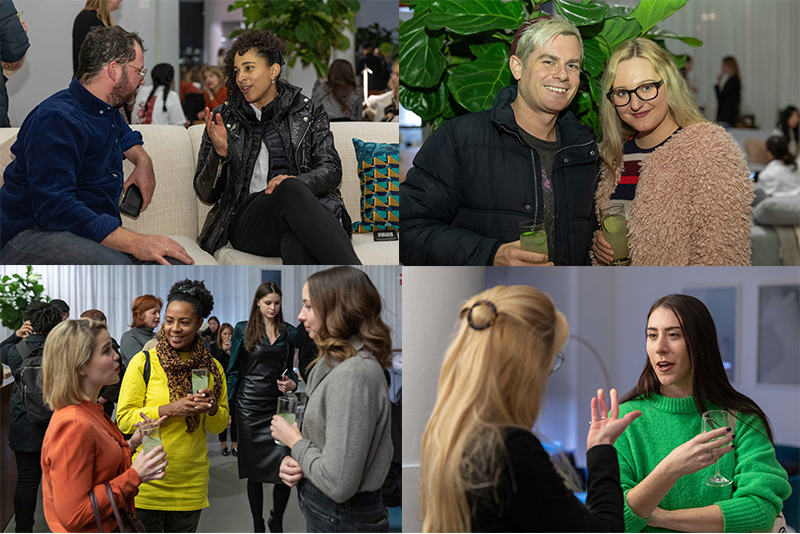 New York itself has around 800 of our graduates calling the city their home, many working across the creative industries and taking part in fascinating and inspiring projects. We were delighted this autumn to have the opportunity to bring this vibrant community together for two very special (and very different) events. 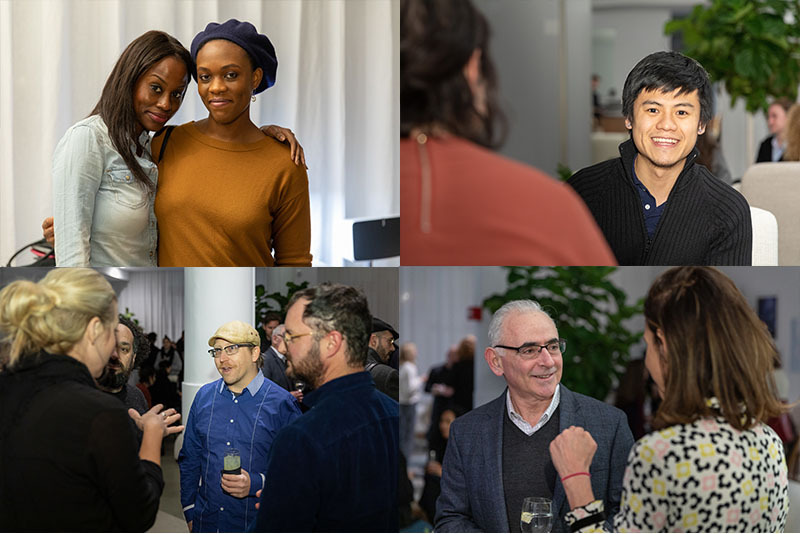 Over 100 of our graduates joined us for an exclusive cocktail reception at the new design headquarters (Fast Retailing Innovation Center) of leading fashion brand Theory in the heart of New York’s Meatpacking district. 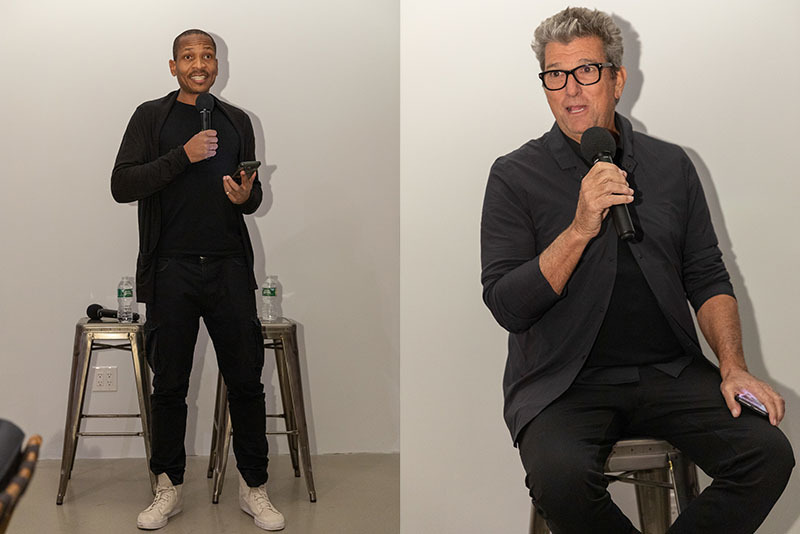 Guests were welcomed into the beautiful space by Bruce Reynolds, President of the UAL East Coast Alumni Association, who encouraged everyone to spend the evening sharing their stories, making new business connections and celebrating their time at UAL together. 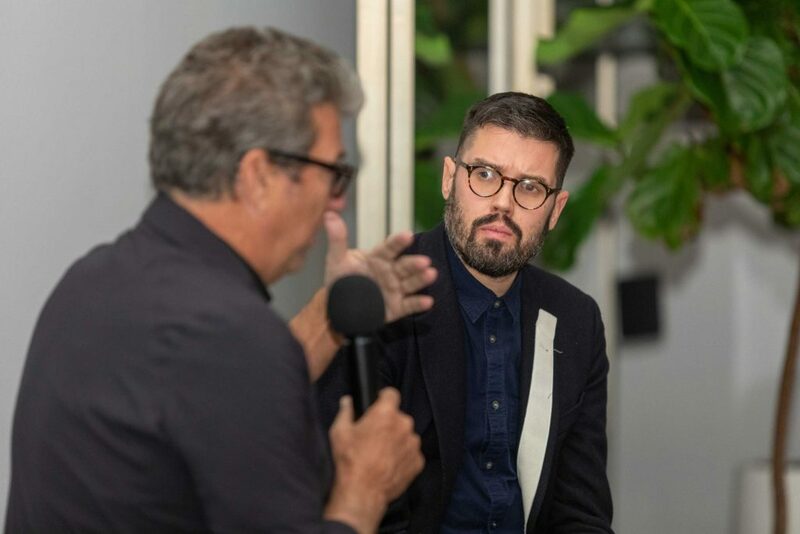 The evening was made extra special as we were joined by Theory Founder and CEO, Andrew Rosen, who took part in a Q&A with questions from Central Saint Martins’ (CSM) Fashion Programme Director Hywel Davies. 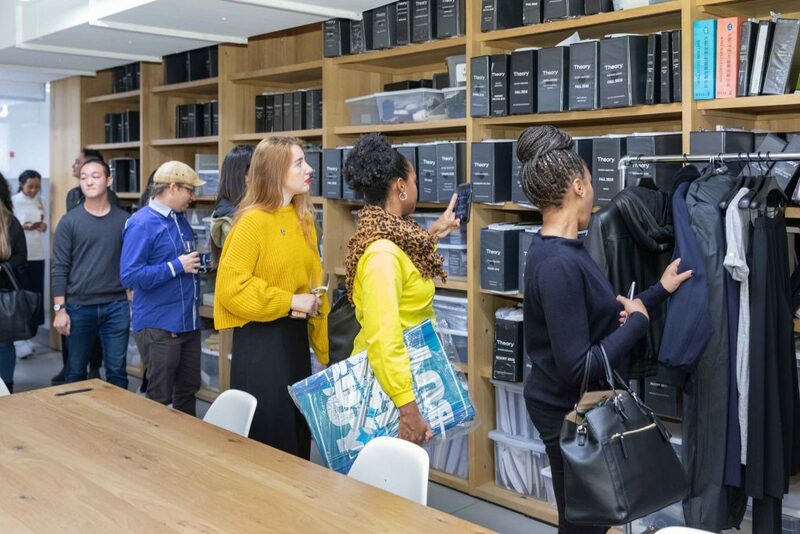 Both Hywel and the audience where keen hear about Andrew’s impressive career in the fashion, his thoughts on the industry at the moment and the thinking behind Theory’s exciting Fast Retailing Innovation Center (which guests were welcomed to tour following the Q&A). The event was also a chance for us to thank Theory for the continued generosity they have shown UAL. 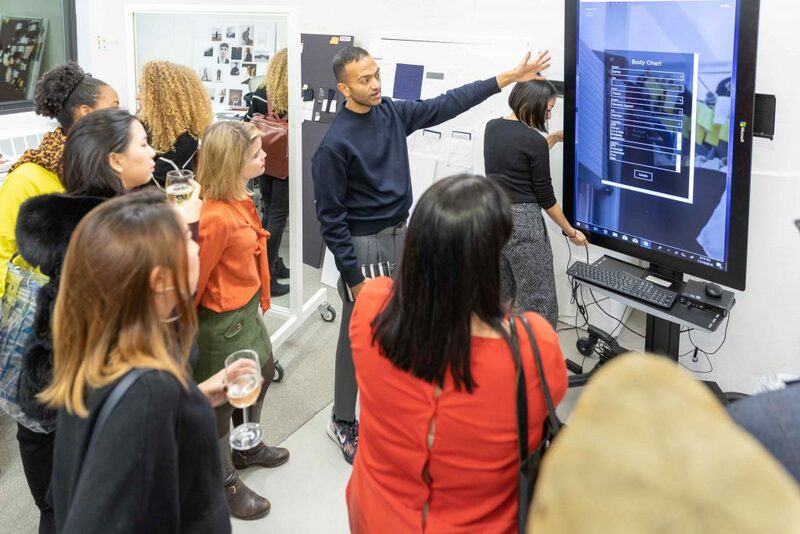 Not only for their partnership which allowed us to host this incredible evening, but also for the four years of support they have given our current students through the Theory MA Fashion Scholarships at CSM. 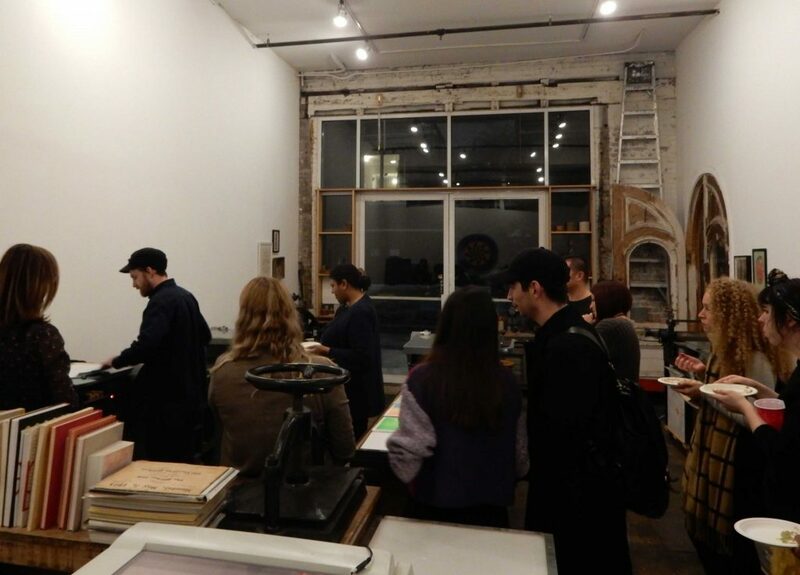 The following night’s blizzard didn’t put a stop to our exclusive Letterpress Workshop in Brooklyn. 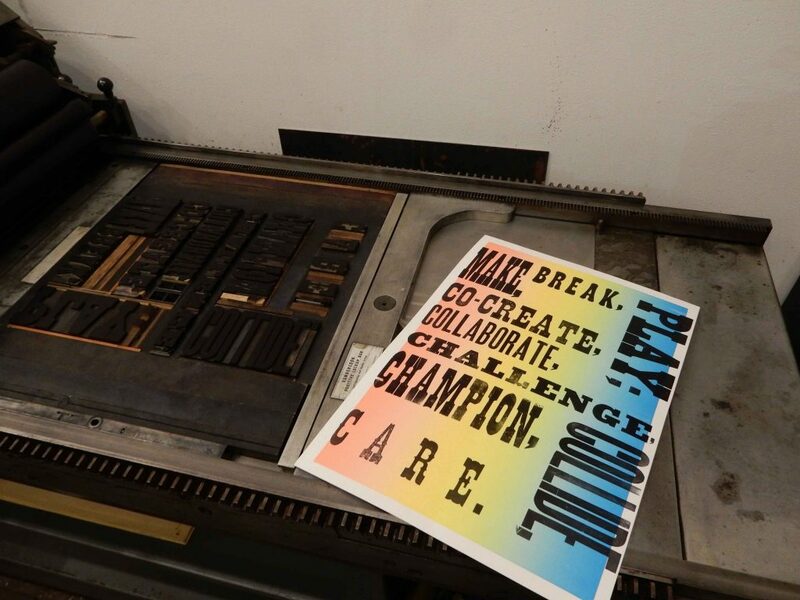 Alumni had the chance to join staff at The Arm Letterpress Workshop to try their hand at printing some exclusive UAL designs on some of the workshop’s traditional equipment. The catchy quotes were the inspiration of Rebecca Wright (Programme Director and Course Leader of MA Communication Design at CSM), who spoke about her thoughts behind them, as well as some of the developments in the teaching of graphics at the College and UAL. Without the support and dedication of alumni volunteers such as Bruce and his fellow UAL East Coast Alumni Committee Members, UAL wouldn’t be able to provide our international communities with regular opportunities to network, share job opportunities, take part in creative projects and make friends in a city or region they might be new to. These two events were a chance for our local committee to hear from anyone interested in playing a bigger part in its future by offering to also volunteer or step forward with ideas for future activities. If you are interested in getting more involved in the US East Coast Alumni Committee please email Caroline Archer (c.archer@arts.ac.uk) for more information.